Join, by joaomgcd of many Tasker plugins and automation apps fame, has been in beta for nearly two months now. When I tried it out at launch, it already had a lot of its functionality covered, allowing your phones and computers to share things with each other: links, SMS messages, screenshots, media files, copied text, and more. The app has been getting frequent updates since then, adding Tasker integration and making it possible to send SMS from any browser without the need for a Chrome extension. You could say that Pushbullet's little brother has grown up to actually compete against it. Now Join is ready to, well, join the ranks of Joao's other apps. That means dollar signs. Join is still in beta (and you can opt in here and then download it from the Play Store), but it's already vying for your wallet. The app now fully works as a free trial for 7 days then you'll need to unlock it to keep using it. The current price has been set at $3.99, but that's 25% off, which should put the app at a bit more than $5 later. 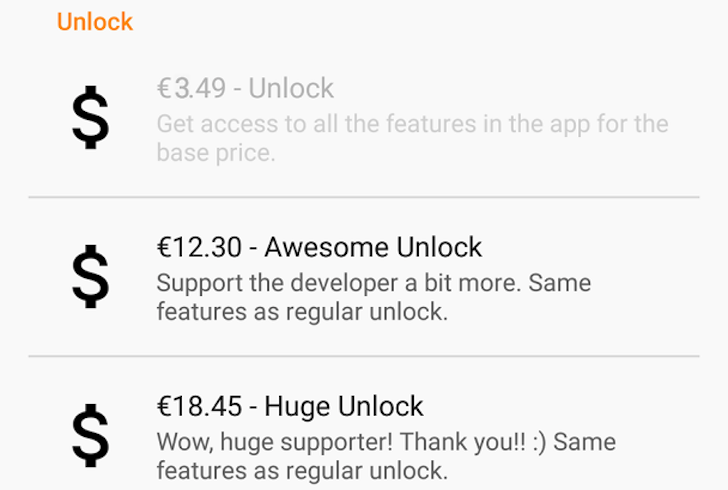 Loyal users and Joao supporters can also spring for more with the Awesome Unlock and Huge Unlock options and/or they can keep ads enabled. Any of the 3 Unlock options are one-time fees so you're not looking at a subscription model like Pushbullet's. That might work better for some of you.